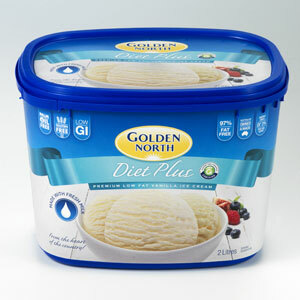 Golden North Vanilla is a pure, natural ice cream and this 1 litre tub is popular with smaller households and families with small freezers. 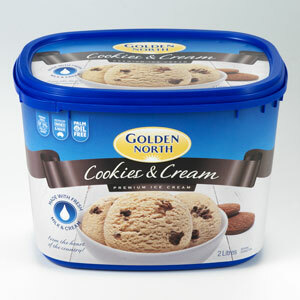 Golden North Vanilla is a pure, natural ice cream that is a firm favourite with kids and parents alike. This 1 litre tub is popular with smaller households and families with small freezers. 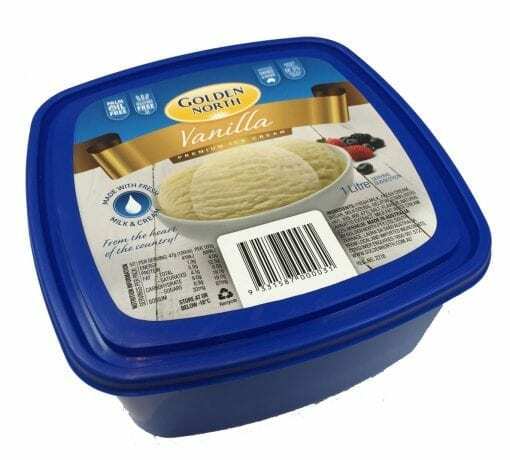 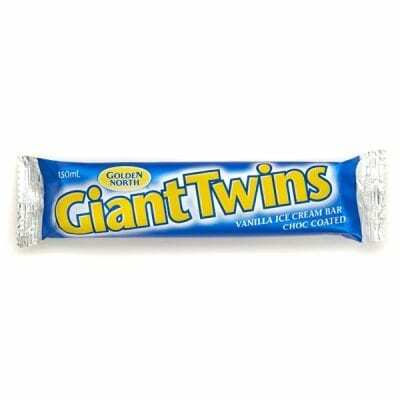 Ingredients: Milk, Cream, Sugar, Milk Solids Non Fat, Emulsifier (471), Gelatin, Food Acid (260), Vegetable Gum (401, 466), Salt, Mineral Salt (339),Flavour, Natural Annatto Extract.